This decade began with a first – the club’s incoming president, Dr. Miriam Hardy – identified herself by her given name, rather than by her husband’s name; subsequent minutes began to reflect members’ given names as well. All members were female and, until the mid-80s, when the Federated Garden Clubs dropped the requirement, all members were required to participate annually in a flower show. Its Christmas Card delivery project, which had been an annual event since the club’s earliest beginnings, was stopped in 1981, when the local mailman threatened to report the club for breaking federal law by using mailboxes for private purposes. Many other projects begun in prior decades continued. The holiday bazaars featured baked goods, greens, ornaments, poinsettas and the Garden Club traditionally provided centerpieces for Dickeyville’s July 4th dinner dance. In 1987 mention was made of members’ participation in “clean up days” although budgets still contained funds for paying for maintenance of common areas. 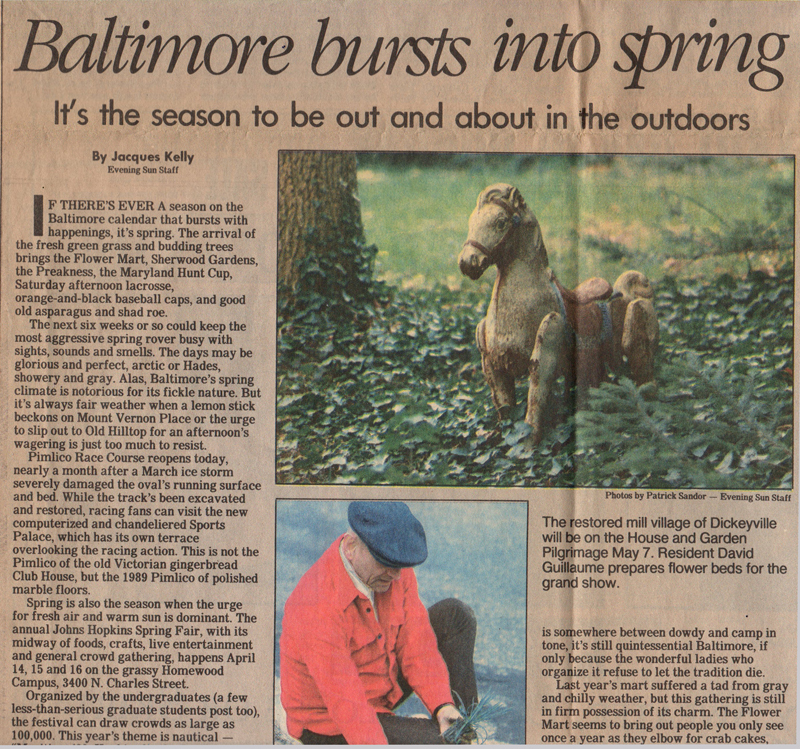 In 1989 the club acquired the “Jones property,” 5.6 acres of land that was immediately put under conservation easement. Over $42,000 was raised from residents to insure that this land would not be developed. The Garden Club became the owner because it had nonprofit status. 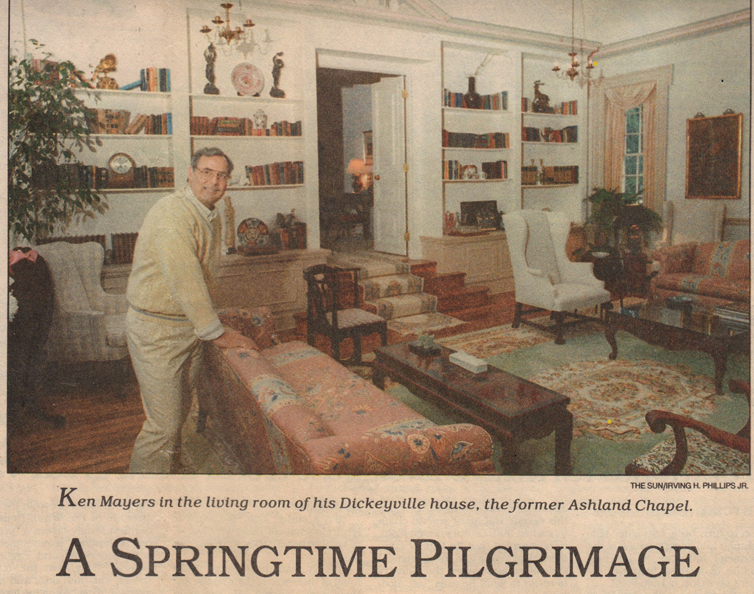 In May 1989 Dickeyville again was the site of the Maryland House and Garden Pilgrimage with 15 homes open to visitors. Initially the club planned to use proceeds of this tour to “be put towards the building of an improved walkway under the Forest Park bridge which will connect the 2500 block of Pickwick to the rest of the village.” Apparently many residents of the 2500 block of Pickwick were not consulted about this plan; and it was dropped due to subsequent objections by homeowners. Please use the order form you received via the community email list. If you need another form or you didn't get one, email me at: seelyfoley@gmail.com.